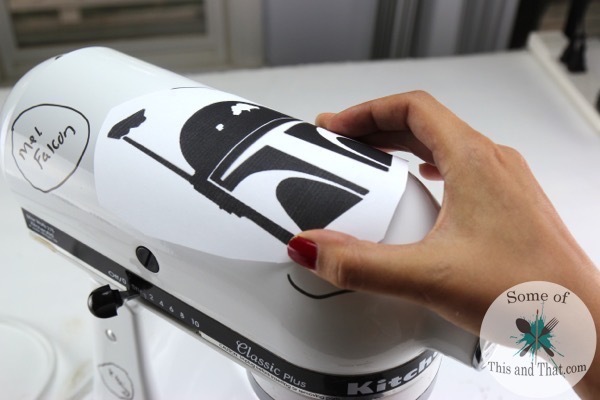 DIY Star Wars Themed Kitchen Aid Mixer | Nerdy Crafts! 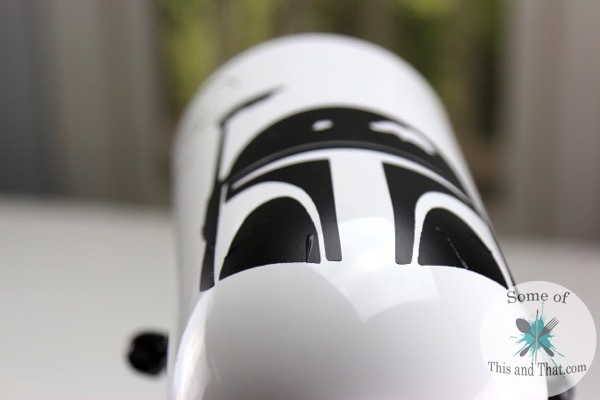 I am a bit of a Star Wars fan… okay I am a BIG Star Wars fan! This past week we have been watching the entire Star Wars Saga because our kiddos have never seen the movies. I am happy to say that they love the movies as much as Hubby and I do! 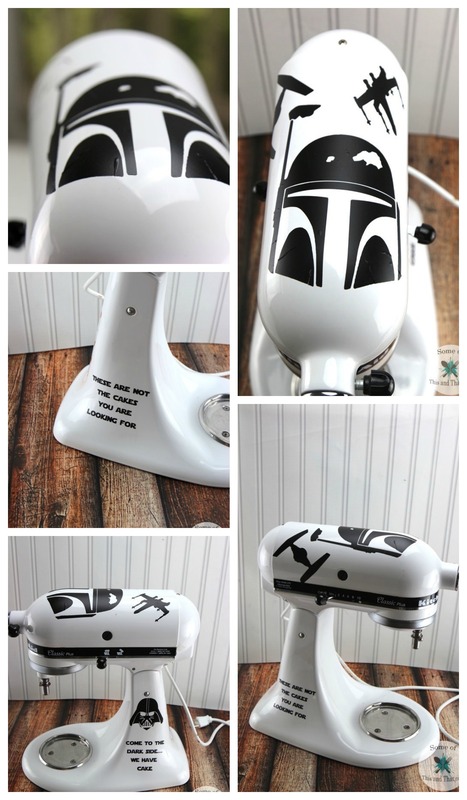 So, because I can’t deck out my entire kitchen in Star Wars, I decided to do a Star Wars Themed Kitchen Aid Mixer! It is not perfect, but I absolutely LOVE IT! If you do not have a cutting machine like a Silhouette, you can always check out Ebay for small decals as well! 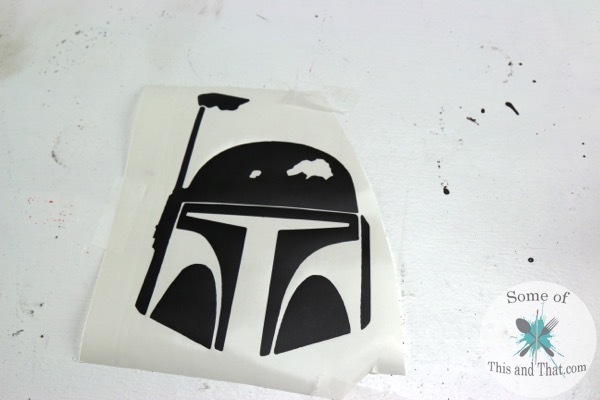 If you do have a machine, I just goggled Star Wars Silhouttes to find what I wanted and transferred the images to my software to cut. My Kitchen Aid has seen some better days, it does get a work out after all. It is actually the only appliance that I keep out on my counter top all the time. My other kitchen appliances only get pulled out from the deep dark caverns of the cabinets when I need them and then right back they go when I am done using them. 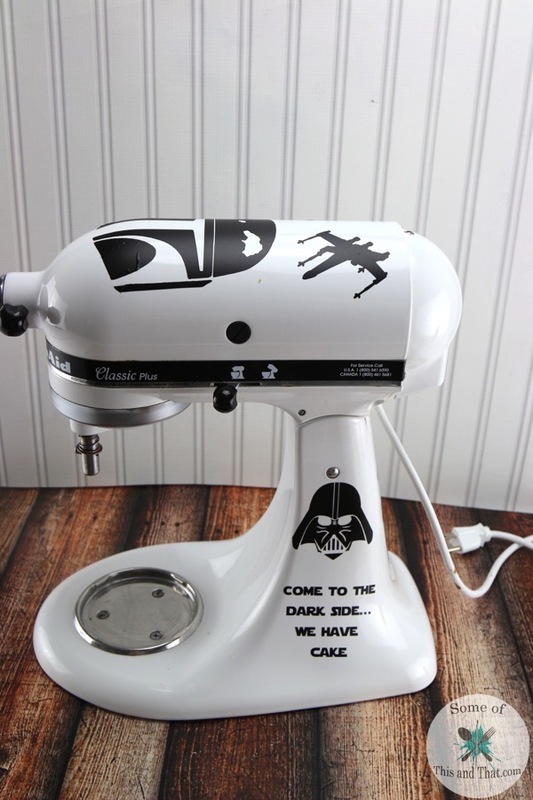 So, the first step in making this Star Wars Themed Kitchen Aid Mixer is to make sure you mixer is clean! Scrub it down to make sure there are no oils or crumbs to be found. I then mapped out where I wanted my decals to be and measured the areas so I knew what sizes I needed to cut. I did this before deciding on what I was actually going to put on the mixer, so things changed a little. 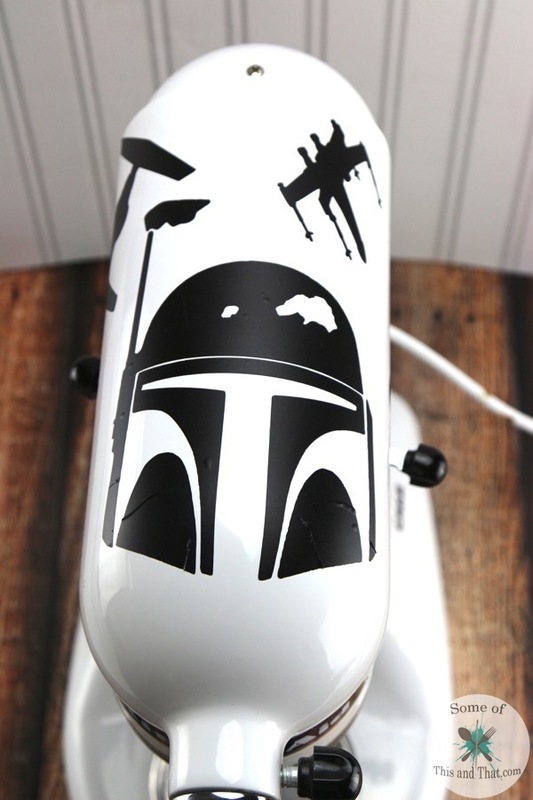 I decided to put Bobba Fett as the main decal because he is one of our favorite characters from the movie. Before I cut anything though, I printed everything in the sizes I measured to make sure they would fit. Then, it was time to cut and weed. 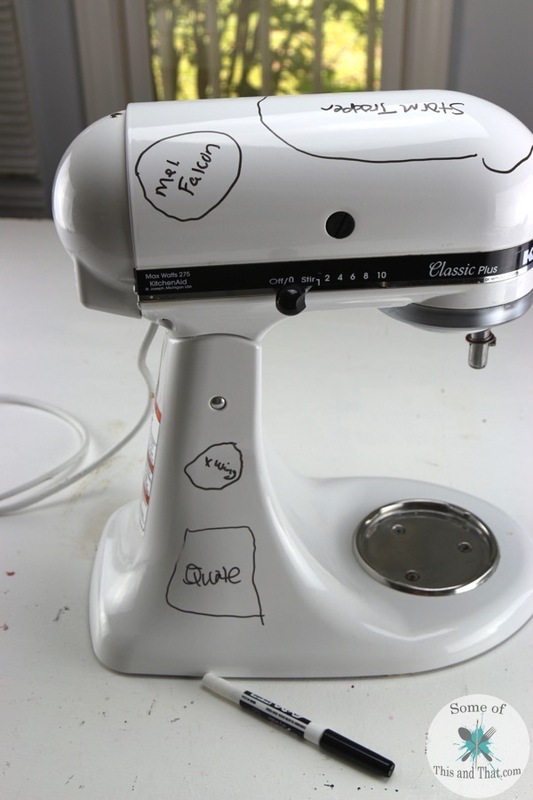 You will notice a blank area on one side of my mixer, that is because I wanted to put R2D2 there, but ummm…. He is not an easy thing to weed with all of the details and such a small size. I plan on going back in and putting C3PO there when I get more black vinyl. 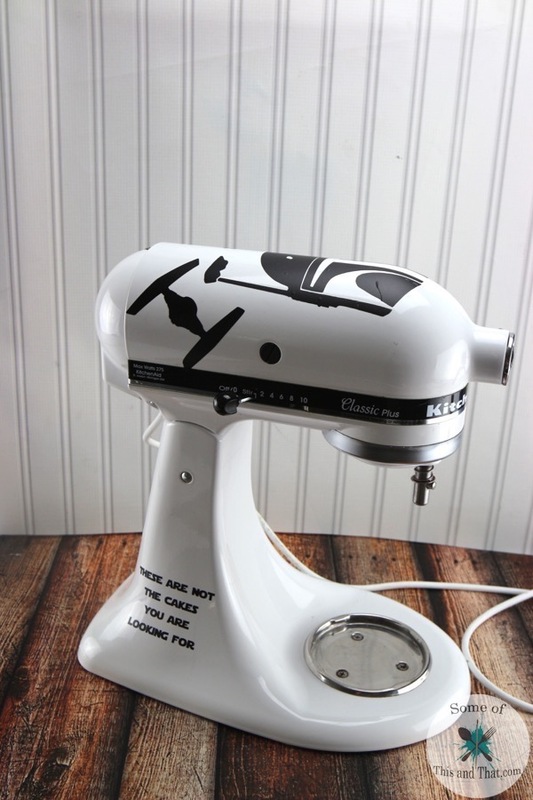 After I was happy with the vinyl cut outs, I placed them on my mixer. There are a few bubbles in Bobba Fetts helmet, but I am okay with that. If there are an excessive amount of bubbles you can smooth them out with a burnishing tool. For the quotes I downloaded a font from DaFont.com called Star Jedi. They are actually one of my favorite parts of this project. As you can see, I am fond of the Dark Side of the Force, Darth Vader really does get a bad rap. But, I had to include the X Wing in because it is a pretty awesome ship! 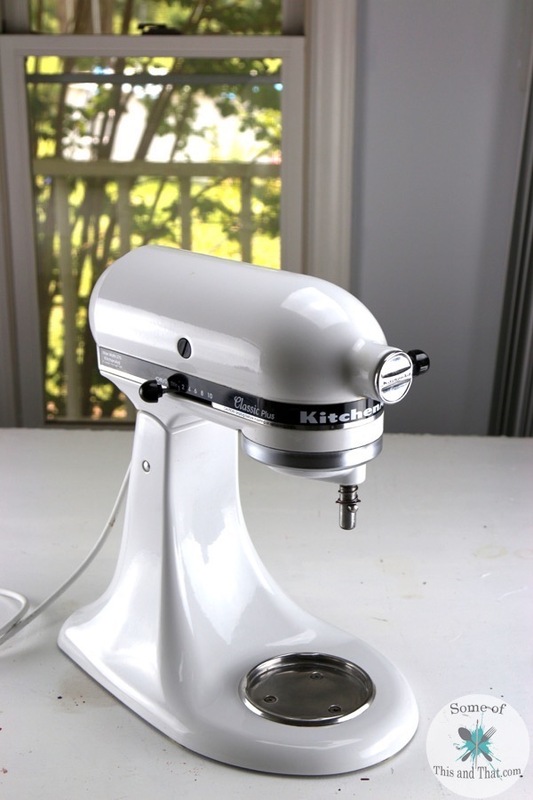 Of course, my mixer was not the only thing that got a make over. 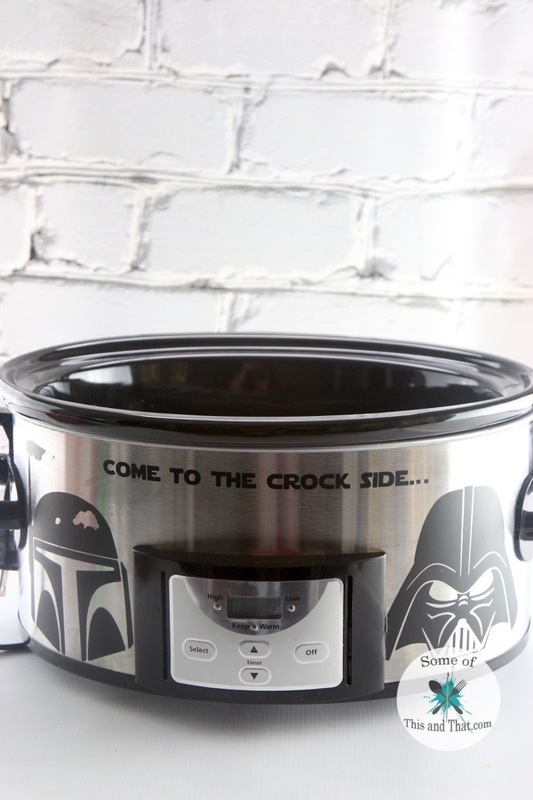 I had to give my crock pot a taste of the dark side too! 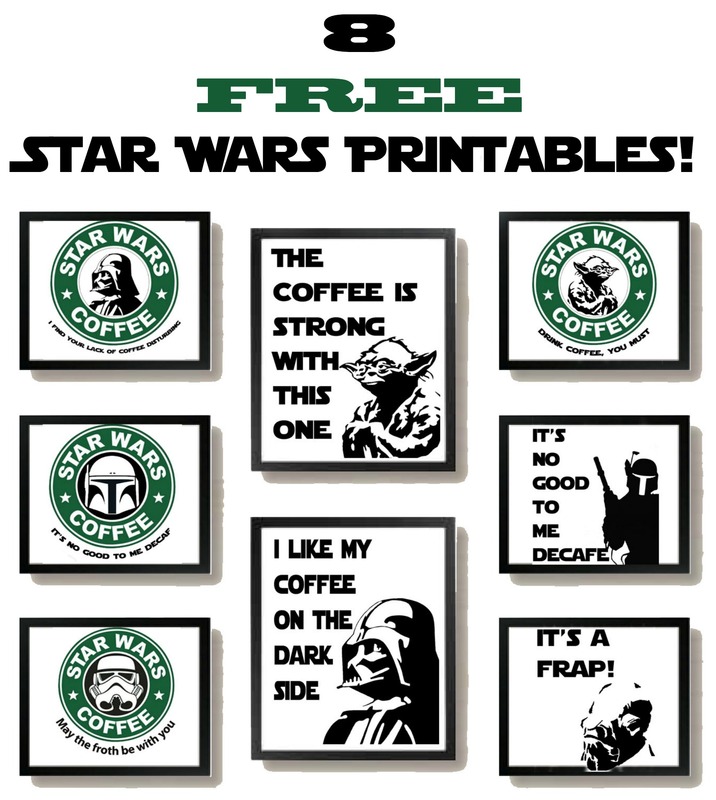 Be sure to grab our Free Star Wars Printables too! Previous Post: « DIY Mario Shelves | Nerdy Crafts! My husband is also a HUGE Star Wars fan, and when I showed him this he said “DO IT!” 🙂 Great idea! Please let me know how the decals have held up on the crock pot! I wondered if the heat would be an issue. They are still intact and look exactly how they did when I put them on, and I use my crock pot at least once a week.